The latest addition to our best selling Goliath heavy duty chair range. 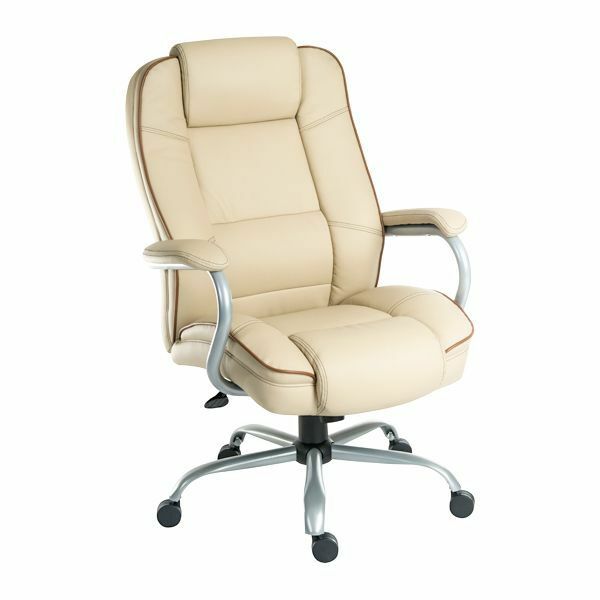 The Goliath Duo has heavyweight mechanism and the gas lift is rated to 27 Stone making this a Genuine Bariatric office chair. 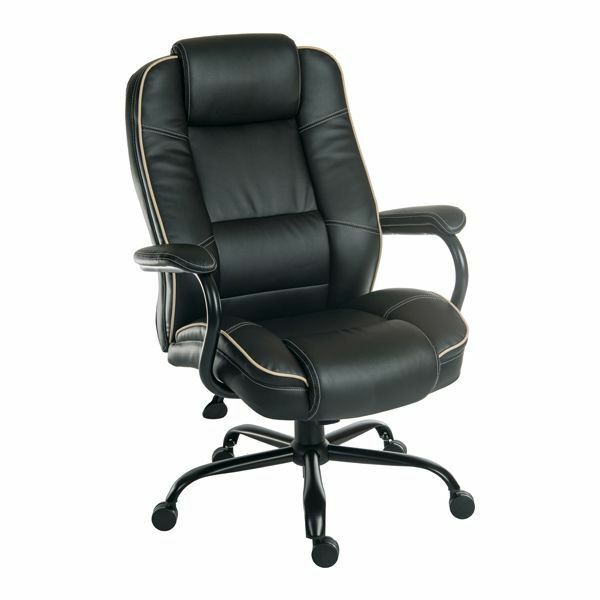 This heavy duty office chair has the addition of extra padding on the seat and back, and contrasting piping. If you are looking for a price competitive Office chair for the heavier person with 24 hour capabilities The Goliath Duo is definately the chair for you. I am an large but not a huge guy but I like to be comfortable. My office chair broke but it was a cheap although it lasted 13 years. I decided to splash out at get something big, comfortable and expensive. I chose the Goliath Duo Leather Heavy Duty Office Chair (which will take a person up to 27 stone in weight). It arrived today and it is a real heavy weight. I am pretty strong but I struggled to put it all together. This was partly because of the sheer weight of the parts and partly because I tried to do it on my own. I managed but I recommend that if you buy this chair you get a friend or colleague to assist with the assembly. Once put together and on its feet the very comfortable seat, lumber support and general ease of use was very surprising. Buying from Lockwood Hume was easy and the chair arrived within 48 hours of ordering to me in Edinburgh. I have no hesitation in recommending this chair and in particular Lockwood Hume. There is also a bonus - Lockwood Hume supplied the chair £30 less than Amazon and with free delivery too... What is left to say...?